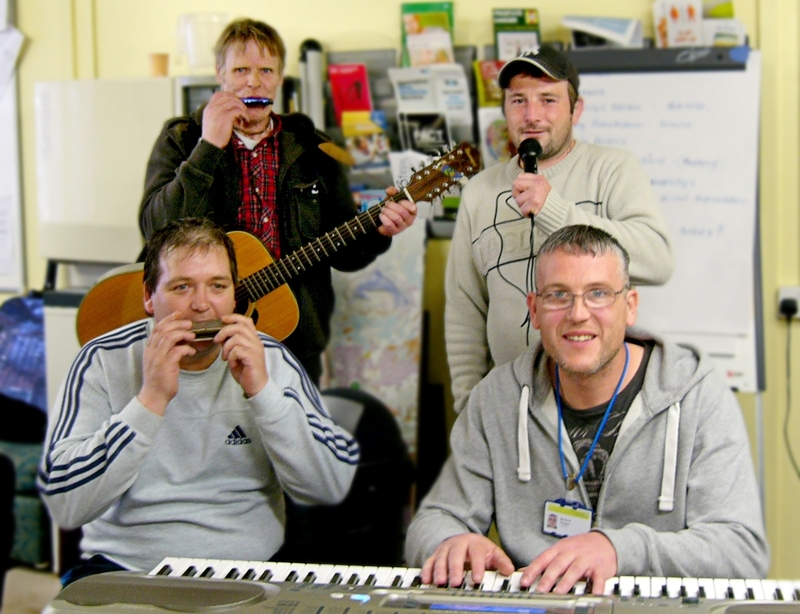 A weekly musical ‘jam session’ is now available to people in North Lincolnshire who are in recovery from alcohol or substance misuse. The ‘Recovery Jam’ sessions, which run every Wednesday between 5pm and 7pm, are just one of a number of out of hours activities on offer at the Recovery Café, based at 86 Oswald Road, Scunthorpe. The café was set up by a group of ‘recovery champions’ – service users who have been or are still in treatment. They receive support and facilitation from staff at The Junction, a drug and alcohol rehabilitation service run in partnership between Rotherham Doncaster and South Humber NHS Foundation Trust (RDaSH) and The Alcohol & Drug Service (ADS). Recovery champion and RDaSH volunteer Richard Hopper said: “The evenings are open to anyone using The Junction’s services. They are informal and based around an open jam session, so everyone gets the chance to play and sing. We’re even having a go at writing our own material”. By providing out of hours activities, the café aims to offer people who are in recovery something positive to do when substance misuse services are closed. There are opportunities to play golf when the weather permits and café regulars are taking part in a sponsored bowl to ensure that their weekly ten-pin bowling sessions can continue every Sunday. Practice lead Caroline Leck said: “The recovery champions have come a long way in the last year. While they are dealing with their own recovery journeys, they are also providing peer support and advice to others. They are often invited to speak at conferences and really are an inspiration”. The Recovery Café is open to users of drug treatment services across North Lincolnshire every Tuesday, from 9.30am to 11.30am and the Recovery Jam sessions run every Wednesday, between 5pm and 7pm. Anyone wishing to attend should ring Caroline on (01724) 852675.